Buy Shifty McGifty and Slippery Sam: Up, Up and Away! Finders keepers? 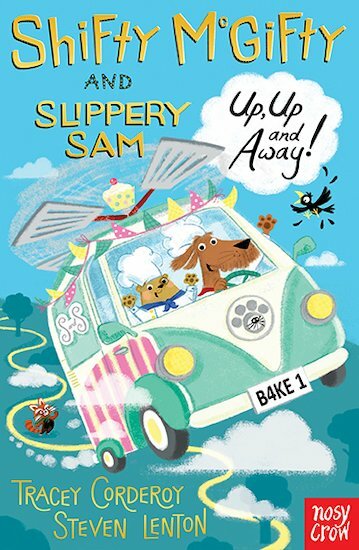 When a mysterious parcel arrives at the bakery, Slippery Sam and Shifty McGifty each say it’s theirs. But whose is it really? Next, can our heroic hounds solve a spate of burglaries, and save a race from being sabotaged by the dastardly Red Rocket? Three more funny stories about two multi-talented mutts who are great at baking cakes, solving crimes and making you giggle loudly.